It is a year since the devastating earthquake in Haiti, and just about every generalist television network has been broadcasting special programming. I found most of it to be competently done and well-meaning, but extremely predictable and pretty superficial. This is the curse of television. Just wait till the 10th anniversary of September 11th later this year. Millions of dollars will be spent on reporters and television crews lining up to broadcast from Ground Zero, and I could tell you already what they will say. Meanwhile, how much coverage is there of the millions of people who have perished in Congo over the last five years? Fortunately, for this earthquake anniversary, there were a few exceptions from the run-of-the-mill. Radio-Canada’s news channel RDI broadcast a documentary by Réal Barnabé and Dominique Morisette who had gone back to meet the people and places featured in Radio-Canada’s first ever reportage from Haiti (done by the grand dame of Quebec télévision journalism, Judith Jasmin). Pourquoi Haiti? became Pourquoi pas Haiti? (Why Not Haiti?) and it was interesting to see that some of today’s key players on the country’s political scene were already active back then. Frontline (PBS) showed an interesting look at the policing situation in Port-au-Prince, where the criminals who escaped the crumbling prisons in the aftermath of the quake have taken refuge in the emergency tent camps where they are rebuilding their gangs and taking control. But the best programs are broadcast on TVO: the series Inside Disaster, directed by Nadine Pequenza and produced by Andrea Nemtin and Ian Dunbar at PTV productions in Toronto. I already congratulated them on their sense of initiative a year ago and I am very happy to see that they have really delivered. The authors of the series have also wisely decided to look beyond the disaster towards the long-term challenges of reconstruction – we haven’t seen that part yet. This is terrific documentary work, not just news reporting. We are truly inside the biggest humanitarian relief effort ever, focusing on the Red Cross and some really great characters – Jean-Pierre Taschereau who leads the huge team is just one of them – as they struggle against overwhelming odds to get water, food and medical help to the victims of the quake. You are really there with them, experiencing their challenges, difficulties and emotions. The shooting and editing are excellent, and the website that accompanies the project is exemplary, giving you information about the earthquake, about ‘humanitarianism’ and emergency relief efforts, and about the film. 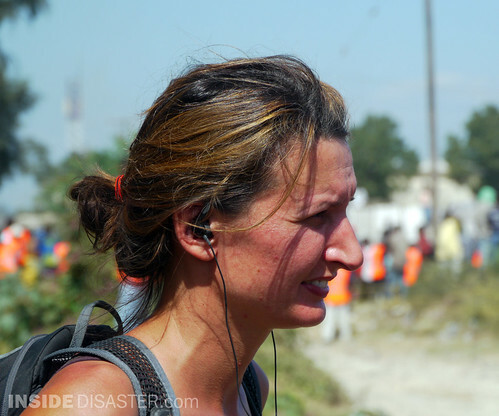 The companion blog Haiti-today goes in depth into the reconstruction effort, and there is also an interactive component to the site, where you can play the role of a victim, a journalist or a relief worker. I asked Tobi Elliott who helps me with this blog to try it out. Her comments in a few days. 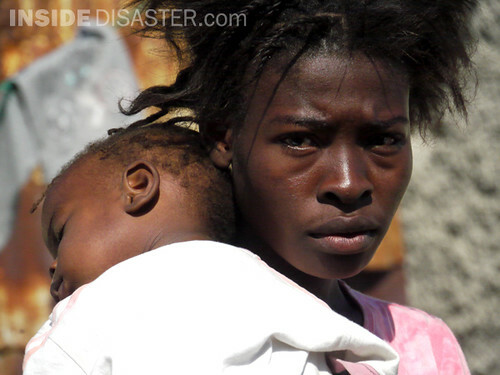 Watch TVO’s Inside Disaster Haiti online here.